At FCC Pomona, a variety of ministries at FCC Pomona offer people ways to grow and serve. These ministries also give people the opportunity to get to know other people and find communities of support. The Chancel Choir is open to all people who love to sing! The choir meets every Thursday evening at 7 pm (September through June). There are no auditions. Dr. Vernon Snyder, the Organist/Choir Director is a talented musician with the ability to inspire and encourage both the seasoned singer and those who are new to the vocal arts. In addition to singing, laughter is a regular part of rehearsal; singers have a lot of fun! The Chancel Choir’s mission is to bring beauty into the worship through choral music. The music is meant to inspire and bring worshipers to a deeper connection with God. The Bell Choir plays periodically throughout the year. Whether you are an experienced bell ringer or want to try your hand at bells, our director, Dr. Vernon Snyder works with everyone to help them meet their potential. If you do not read music, this is a safe space and great opportunity to learn some basic things about how to do that. Rehearsals are set by the group and they play on various Sundays throughout the year. Children and youth learn to be part of a community by being part of a community. They develop resilience by being in relationship with caring adults who treat them with respect. Intergenerational interaction is critical to support the development of children and youth. Therefore, we endeavor to provide experiences in which children and youth are included and not segregated. Children and youth are part of the worshiping community. Because young children have unique developmental needs there are enrichment activities for them. Children’s Sermon – Each week, children are invited to come forward for a time of learning at their level. The brief lesson incorporates scripture, is often story based and always interactive. 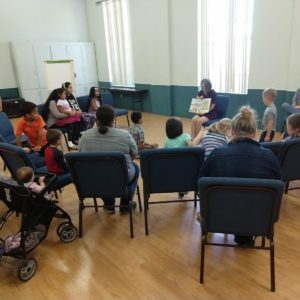 Children’s Time – Young children, up to grade 4 or 5 are welcome to stay in worship and work with materials for the Children’s Worship Station or attend a group with a child care provider who leads the children in crafts. All child care providers are background checked. Communion – We celebrate communion every Sunday. Because children come to us from a variety of church backgrounds and some have been baptized and some have not, we leave it up to parents to decide if children partake. Usually, the children return to worship to be part of the gathered community around Christ’s Table. We believe they learn to be part of this community by getting to practice the practices important to our community. Logos is a ministry of spiritual formation for families. We meet twice a month; please check the church calendar for current schedule. At Logos we learn the Christian faith through the development of worship skills (music, drama, public reading, and performance), education ( Bible study, moral teaching), Table Fellowship (a meal together) and games and recreation. Logos is for families with children at home. A free will offering is received to cover the cost of a prepared meal. Children of the church from second grade onward are encouraged to attend Summer Camp. The camp experience helps children and youth involve themselves in learning about wider church life by developing community with other young Christians. Every year, children and youth study the Bible, learn how to share in community through meals and play and develop their sense of Christian discipleship. We have a very active and involved church. Here are some of the activities that happen on a regular basis. 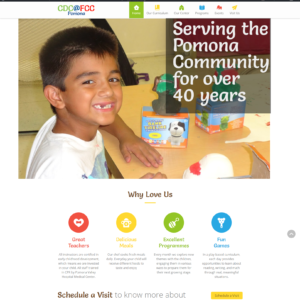 Make sure to check out our Calendar page , and the church Facebook page (https://www.facebook.com/fccpomona) to keep up on everything that’s going on.